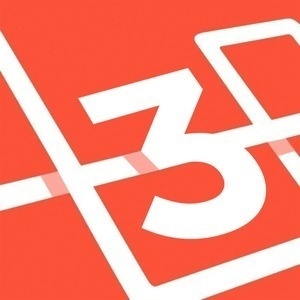 Welcome back to the Laravel podcast, season three. I'm your host. I wanted to say I'm your favorite host but I'm your only host so that'd be kind of cheating. Like when you only have one kid and you say "I'm your favorite kid". I'm your host. I'm one of your hosts. No, I'm the only host. See? Matt Stauffer. That's me. I'm the guy talking to you. Joining me is someone who a lot of you have probably learned from at some point in your life but you often haven't associated that you're actually learning from him. This is the master of Stack Overflow Laravel. That's what's going on here. And I think a lot of people have no recognized that this is actually a thing. We'll get into this in a bit. His name, in Portuguese, is pronounced in such a way that I'm going to totally massacre it. So I'm going to say it and then literally the first thing I'm going to ask him to do is say it the way it's actually supposed to be said. So, Antonio Heb ... Ribeiro. No see, it's totally failed. Say your name for us. Also, what I'd love for you to do is just give us a picture of who are you, what are you about, when you meet someone for the first time what do you tell him about what you do, and then where are you? And then I'll get started in asking some questions. Antonio Ribeiro: Hi Matt. My name is Antonio Ribeiro. Matt Stauffer: Howdy. That's how badly I pronounced it. Antonio Ribeiro: No, no. The second time you say it was really cool. Matt Stauffer: It was a little better? Antonio Ribeiro: I'm from Brazil, originally. I work in Brazil and I work for a company outside Brazil. I lived in Europe for four years or five years. I don't remember exactly how much time. I lived in a city everybody knows. I think everybody knows. It's Rio de Janeiro. It as difficult as my name to say. Antonio Ribeiro: Exactly. I work for the Brazilian government. Specifically, the state legislature in Rio. So I'm a public service. I do six hour per day of public serving. Of work. And after-hours, I do a lot of work. I work for another company. Now, I'm not exactly working for them but I'm available for them. I love the program and that's why I got into Laravel so quickly and maybe had some success in Stack Overflow. So I started my programming life when I was 12, I think, in Switzerland, in a big department store working with computers that were in the store. I was amazed about computers. I got a job when I was 12, 13. Matt Stauffer: You got a job when you were 12 years old working on computers? Antonio Ribeiro: No, not working on computers. I got a job delivering groceries for a store. Antonio Ribeiro: To buy a computer. Matt Stauffer: Oh nice! I was going to say. That's still impressive. Man, you're getting right into it here. You've heard this before and you know that I'm gonna ask about your whole background. But let me pause for just one second because what I want to make sure that I have is ... I want to have context for why it is that I'm talking to you. So actually before I go any further, what version of Laravel was it when you first started getting really involved? Antonio Ribeiro: 3.2. Yeah, 3.2. Matt Stauffer: Yep, so you showed up there just a little bit before I did. I remember in the early days, and especially in the middle days, every time I'd come across everything in Stack Overflow, you would always be the answer. It's just consistently over and over. And I'm looking at this and you have 59,000 reputation on Stack Overflow. If anybody doesn't know, that's a very, very, very large number of answers. Who knows how good their ideas are here of how many people he's reached but it is telling me that he's reached 3.7 million people with his answers in Stack Overflow. Antonio Ribeiro: Wow. I didn't know that. Matt Stauffer: Right! And the large number of them are in Laravel. His top tag is in Laravel and then he's got Laravel 4. He's got 1,000 posts in Laravel that he's interacted with. Or that maybe even he's created. So there's a lot. There's a lot going on here. He's in the top 0.3% in Stack Overflow and I'm only saying that, not because that makes you worthwhile or not worthwhile, but that was the reason that we originally connected. Now, since you've made a couple repositories in a couple packages for Laravel, the most recent ones that have come up have been your tracker, the Stats Tracker. Then the Test-Dashboard? Is that what it's called? I'm trying to remember what it's called. Antonio Ribeiro: Yeah. I call it TDDD now. Matt Stauffer: Oh, it's got a new name. So TDDD. Matt Stauffer: Got it. Also, the one I've tweeted out a little bit recently is that you have Version. Which basically allows you to pull the version of your Laravel application into your app based on any number of criteria. One of which being the Git tag, which I was super interested in. But it seems like you got a lot more in those. Do you even know how many packages you have? Antonio Ribeiro: No. I'm not sure, really. I have, I think, five or six really popular packages but I have like 150 repositories in my account so I don't know. Matt Stauffer: Yeah. So you're big on Stack Overflow. You've got a lot of packages. You are also are a Twitter presence here and there. Just like a few of the other people we've talked to so far, you're not someone, at least in the US or Europe, where everybody knows you and everybody knows your name. I don't know the Brazilian Laravel community quite so well so is that different either in Brazil or Rio? Do you guys have a really strong community there that you're really invested and involved in? Or are you kind of solo with this? Antonio Ribeiro: Yeah. I'm kind of solo because it all started for me in Stack Overflow. Antonio Ribeiro: And in English, which is not exactly a language I used to speak. So I decided to go deep in this Stack Overflow thing but it was way before I discovered I was ranking on Stack Overflow. Antonio Ribeiro: So, I did not really contacted people in the Brazilian Laravel community but we got in touch via IRC when Taylor was still very frequent. I don't know if they are now because I'm not very frequent now. Matt Stauffer: Not so much, no. Antonio Ribeiro: I just say, "I'm sorry." Matt Stauffer: Yeah, so you're relatively disconnected. Matt Stauffer: I want to get your whole backstory but I want everybody to have the context for what we're talking about here. 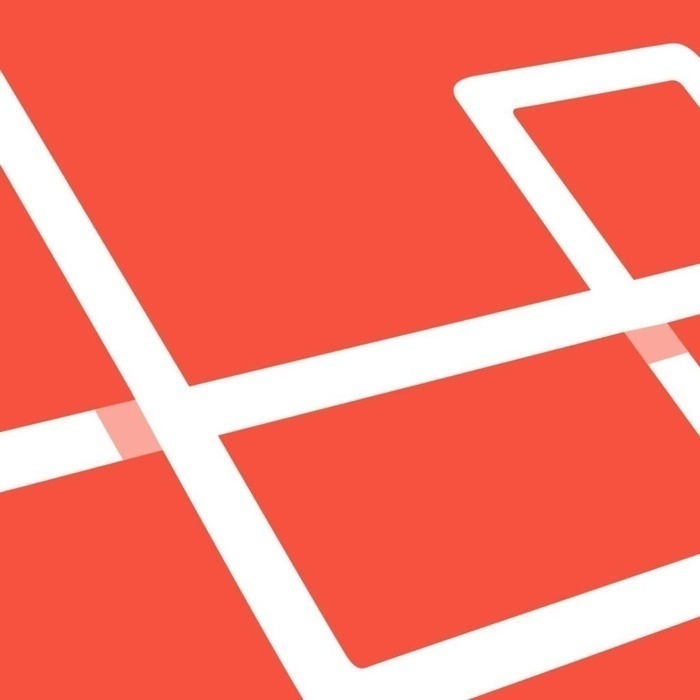 Do you use Laravel in your day job? Antonio Ribeiro: Yes. Yes. Of course. Everything we do for the government, now, is done in Laravel. Antonio Ribeiro: Mostly everything. I am a lead of a very small group of developers and we work primarily in Laravel. Laravel and VueJS. Matt Stauffer: Oh, very cool. Did you get in VueJS pretty early last summer or is it something you're jumping into more recently? Antonio Ribeiro: Almost when Taylor started to talk about it, I got in. Matt Stauffer: Nice, very cool. It's interesting because I just googled your name so that I could throw your website into the show notes and found that you had done an interview on Laravel News. I try to read those beforehand so that I can make sure I'm not covering the same territory and I had never read that you've done that. I had no idea that happened. So, excuse me, I didn't do the research I should have done. But that's fine because I still have plenty of questions and curiosities. Okay. So, you are doing Laravel in your day job but you're also doing some stuff on the side. There's various level of folks who you're working with. You're in Stack Overflow English early. You're somewhat connected but it's been a little while with the Laravel Brazil community. One of the reasons I asked that is because my book has been translated into two or three languages and Brazilian Portuguese is one of them. I was pretty surprised by that because that takes a pretty big commitment for somebody in the community to have decided that it's a group they want to target. I was wondering if there's some huge Brazilian Laravel community that I wasn't aware of. It sounds like at least there at some point was but it, at least the one in Rio, might have gone a little quiet for a little while. Antonio Ribeiro: Yes, I think the community to large but they are not very connected. Antonio Ribeiro: I think they are more connected in the PHP community than in the Laravel community. Matt Stauffer: Got it. That makes sense. Okay, so before I got to your life story, I want you to give me a pitch real quick on the TDDD and then if there's any other one package that it's just really your favorite package or your favorite contribution to Laravel. I don't know if Stats Tracker or something else but first, tell me about TDDD as if I'd never heard of it before. Then, do you have any other packages that you really love and that you want to share with everybody? Antonio Ribeiro: Well, TDDD is becoming an app actually. It's an app for helping people do TDDD. Basically, you are writing tests. If you write tests before or during or after you are coding- doesn't matter. You can use it to help you test your app during development. You make a change in your code, it will run all your tests. If you do a change in one of your tests, it will run that test particularly. It's basically that. We have some other things it does. It is able to link all the lines of your failures so you can click a link and it will open your PHPStorm, or your Sublime Text, or VSCode. It doesn't matter what editor you are using. Matt Stauffer: Okay, very cool. Is this an app where you think that if anybody's doing TDD in Laravel, they should just be using TDDD? Or is it more for specific contexts and not for others? Antonio Ribeiro: No, everybody can use it. If you are using TDD in Laravel or PHP or you can use it in Ruby. It's very open. I think it's a good one to use because Freek has a package almost like it but it's for the command line. Antonio Ribeiro: The difference for me is that I keep a monitor ... I have three monitors here. I keep a monitor with it and while I'm coding I'm looking at the monitor and seeing if anything is broken with the code that I'm writing. It's very handy. Matt Stauffer: That's really cool. I asked for one other package that is really big for you. I know you've been working on Version recently but I also know that Stats Tracker is one of your more popular ones. If you had one more of your packages that you think people should check out, which ones at the top of your brain? Antonio Ribeiro: I like, very much, Google 2FA but I think there are other options and people are using Authy which you can blend into Laravel very easily. I think Firewall is a package that people should look at. Matt Stauffer: Yeah, I use Firewall. Antonio Ribeiro: You use Firewall? Matt Stauffer: Yeah. I had basically written a crappy version of Firewall and then you can out with Firewall so I just switched over to using your package so ... Could you give like a high-level introduction to what Firewall is? Antonio Ribeiro: Firewall is basically something you put in front of your app to protect it. It's like a real firewall. The difference, of course, is that you cannot rely on Firewall for everything but you can rely on it for things like someone trying to exploit your app. A Firewall will be better on that but if someone tries to hit one route 50 times, it will warn you about them and it can block the person or block the country. It's very flexible in this way too. I like it because one of these days I found someone in Denmark trying to exploit one of my end points so it's cool. Matt Stauffer: Nice. Some of the things that Firewall can do is it black lists and white lists, it allows you to block people really easily. It also does some detection, like you were saying. It does some intelligent detection to find people causing problems. It's also got a couple other cool features. One of the things I liked was, you can basically send everybody on the whole site to a "Coming Soon" page except people with white-listed IP addresses. So there's a couple other tools that are in the same vein of Firewall but are not just for security purposes. Some of them are for access purposes as well. It's really, really fast. I think I remember looking at some other packages and they would add 50 to 100 milliseconds and your GitHub page says 10 milliseconds which is really basically negligible on most sites. Alright, so I have given a little bit of the high-level introduction. Who you are and what ... People may have heard of your or they may have seen your stuff before and not have always known. We're about to jump into the history of who you are but I wanted to point one thing out which is that for the longest time, I had difficulty remembering what your name was because you have an "I" in front of it in your twitter handle. So it says "iantontio" and I would always think, "His name is Iantonio or" ... But then I would remember there's a Carlos somewhere in there and I'd be like "Is it Ian Carlos" and I always had a lot of trouble. I've always wanted to tell you the "I" has been so confusing to me. Matt Stauffer: No no, you're fine. You said, when you're 12 years old you were in Switzerland? You were living there at the time and you got into computers and so you got a job delivering stuff so that you could have enough money to ... But what I'm curious about is, how did you actually get into computers in the first time? I don't want to go too far down this road but I will mention that there's a little more gray in your beard than there is my beard. Maybe I'll just say that. So at this point you were not discovering the same computers that I was discovering when I was 12 years old. What did it look like for you to learn about and get interested in computers and what were those first computers you were getting interested in at that point? Antonio Ribeiro: Commodore VIC-20 was the first computer I touched with my own fingers. People were talking very much about Commodore 64, I think. I wasn't able to use one but after some time I got back to Brazil. I went first to France. I was there for some time. Then I got to Switzerland, some cities in Switzerland. Then I got back to Brazil and I decided to do a course. I was 18, I think. Then I was really amazed by Apple computers and the first PCs in Brazil. I think it was that. Very early in computing, here in Brazil, I got catched by them. Matt Stauffer: Yeah, yeah. At that point, there were actually classes that you could be taking. You weren't having to teach you on your own, right? Antonio Ribeiro: Yes. Mostly, yes. That was my whole life because first I try a course to get classes and it was not very good because I was already reading a lot about computers and about programming. Then I got to try class of a friend of my father which basically gave me a book and a computer and told me to learn by myself. I was basically self-taught my whole life. Matt Stauffer: Was that Commodore 64 that you were working with at that point then? Antonio Ribeiro: No, at that point it was an Apple 2. Matt Stauffer: Oh okay. So I assume you were learning how to use the machine but were you learning coding, like AppleScript at that point? Or what were you learning at that point? Antonio Ribeiro: First, it was basic and then I got to dBase. You know dBase? Matt Stauffer: No, I've never heard of it. Antonio Ribeiro: Oh yeah. It's like a language for querying databases. Antonio Ribeiro: It was not exactly a language. Then there was Clipper. I think Clipper is a little bit more popular that dBase. Matt Stauffer: I've never heard of Clipper either. dBase and Clipper. Okay. Antonio Ribeiro: Yeah, so those were the languages that I started to learn. Then after doing this course I went to a company to work for them but work and learn. It was more like a friend than a boss. There we started to work with C. Not C++ yet. This was before. We were building a translation system in Clipper and C.
Matt Stauffer: Translation meaning translating languages. Matt Stauffer: It didn't understand syntax. It just replaced one word with another? Antonio Ribeiro: Yeah, basically that. After, we started to translate to switch sentences and idioms and things like that. Matt Stauffer: You understood how to do the parsing well enough to write all that? Were you actively involved in writing those translation layers? Antonio Ribeiro: Yeah, it was not exactly a parsing. It was like, try to get the meaning in the sentence and just switch words. Antonio Ribeiro: Really rudimentary I think. Matt Stauffer: Mm-hmm (affirmative). I'm trying to get all the age ranges here. You said when you got to Brazil you were taking courses so was that university when you got back home? Antonio Ribeiro: No. It was during high school. Matt Stauffer: Oh, okay. Was this job doing the translation layer, were you also still in school at that point? Or was that out of school? Antonio Ribeiro: Yes, yes. I was working then and studying at the same time. Always. Matt Stauffer: Okay, so what was your degree that you were seeking? Antonio Ribeiro: Some years after I got to do university here. I have a degree in computing. Matt Stauffer: Got it, yeah. It sounds like computers have been a thing for a very long time. The first thing you mentioned about when you were younger is getting into computers when you were 12 years old. I know that you're interested in photography and I feel like you've mentioned dancing at one point so I know you have some other things. Are those going as far back as computers, as well? Or have you sort of always been ... Computers is one of your biggest hobbies since the early days? Antonio Ribeiro: No. Both dancing and photography are things that I started five years ago, eight years ago. Eight years ago photography and five years ago dancing. At that point my wife had the dance classes. We are seven years together so seven years of dancing and eight years of photography. Matt Stauffer: That's amazing. What sort of dancing was it? Antonio Ribeiro: Samba. Do you know samba? Antonio Ribeiro: Samba, rock-and-roll. We call it differently here but it's like rock-and-roll. And salsa. Matt Stauffer: My wife is a dancer and I'm one of the worst dancers of all time. She's like a professional dancer and I'm a klumbling, bumbling idiot so it's a very fun pair. I know the words even if I don't know how to do anything. So five to ten years of photography, five to ten years of dancing, but this computer thing goes the whole way back there. Was it weird that you were 12 and you were into computing and it wasn't as much of a cultural phenomenon ... I mean, a 12 year old kid that's into computers today is just no big deal. Being a 12 year old in the 90's, for me, was a little bit weird. I get the sense that you were in the 12 year old more in the late 80's or something like that. Was it culturally strange in Switzerland, where you were, or was this a normative thing? Was it normal in Brazil? Was it weird in Brazil? What, culturally, was it like being that into computers that young? Antonio Ribeiro: I think it was completely different for people to know that I was excited about something nobody knew at the time. It was very, very expensive. In Brazil, a computer- it was like buying a car or two. My mother didn't want me to go to that path because she didn't believe very much in the power of a computer. I had to be an engineer or something like that. Antonio Ribeiro: So I asked her to buy me a computer and she basically said no, of course not. Matt Stauffer: Of course not. What are you talking about? Antonio Ribeiro: I think it was exactly that. Infinite possibilities. Matt Stauffer: And you were able to figure that out? That early? Antonio Ribeiro: Yeah, I think so. For a lot of time, in that department store, I was just trying to figure out what the thing was about. I was able to play with it and to write things and to create small programs. It was really cool. Matt Stauffer: I learned basic but you said, this was the Commodore 64, or VIC-something, or I don't know. What were you writing at that point? Matt Stauffer: Yeah, 20. What were you writing in at that point, when you were really getting started? Antonio Ribeiro: I don't remember. I was just copying stuff from magazines and then changing words and changing functions. Matt Stauffer: And seeing if you could control things, yeah. Matt Stauffer: Very cool. When you were back in Brazil, you started studying things. You got the job translating. It seems like you were always had multiple fingers in multiple pies, as the expression goes. What was your goal then? Did you have a goal other than just to do more stuff with computers? Antonio Ribeiro: Learning was always my goal. Even today. What happened there ... Actually I was working for another company in Brazil before going to that job. There I learned to write a little bit more of Clipper and when I go to the company of the translation, I decided I was able to do the translation system in a different way. What we had at the time, it was a software that was plugged into a editor like Microsoft Word. It was not that, it was another editor. It was able to get the words from the editor and write words in another language. So I decided to build an editor which was able to translate at the same time. Matt Stauffer: Oh my gosh. Like a Word Perfect type thing. Antonio Ribeiro: Yeah, exactly. Before Word Perfect. Matt Stauffer: Oh god. That's no big project or anything like that. No big deal. [laughter] Okay so how'd that work for you? Matt Stauffer: That's fantastic. How long did that dream last? Antonio Ribeiro: That dream come true. Matt Stauffer: You actually built one? Antonio Ribeiro: Yeah! It was released and it was sold to a lot of people. Matt Stauffer: It was you working alone? Antonio Ribeiro: For some time, yeah. Until I got everything almost done, it was me in secret. Then it became a project from the company. Matt Stauffer: Oh okay. So the company that you were working for sort of absorbed it and then they released it but it was your work originally. Antonio Ribeiro: Yeah but for the company. I was working there. Antonio Ribeiro: Nobody knew exactly what I was doing but I was working there. Matt Stauffer: What I'm hearing you say is that at a relatively young age, you built a word processor from scratch that was live-translating from one language to another that was released and purchased by many, many, many people. We've talked about your work there. You released that thing. What was next after that? I assumed you worked there for a little while. You said you started there when you were in school so what was the next big move whether being done with school or being with that company or geographic move- what was the next thing that went from there? Antonio Ribeiro: No big moves. I went from one job to another because I was always seeking something new to do, something new to learn. When I was 21, my girlfriend got pregnant so I got married. Things got a little bit different because I was not working for learning anymore. I was working for money. Matt Stauffer: For providing, yeah. Antonio Ribeiro: To provide. I went to university when my daughter was already born. Then I went and worked for another company of a big friend. Then I stayed there for five or six years and then around 1998 I decided to move completely to a completely different life and built a webhost company. There I working for a company. I was trying to get into the public serving. I was doing a concourse, I don't know how to say that in English but you have to do a test to enter to public serving. Matt Stauffer: Like a certification? Antonio Ribeiro: No, it's like ... I don't know exactly how to say that in English. Antonio Ribeiro: It's a concourse. You have a lot of people competing for a position in the company. Matt Stauffer: Oh, it's almost like a competition and you have to get a better score on an exam, or something like that? Antonio Ribeiro: Yeah, that's it exactly. Exactly like that. I don't know if you have that in US. Matt Stauffer: I'm sure that concept exists where multiple people are competing for the same promotion. I don't know if it's such a normative thing where we have a word for it though. That makes sense though, what you're saying. Antonio Ribeiro: I got a position; we built the company, me and Anselmo, my partner. The company was doing a lot of things and we were also working for another company rebuilding their system. They have the system written in Pascal. You know Pascal? Matt Stauffer: Mm-hmm (affirmative). I don't know it but I know what it is. Antonio Ribeiro: Actually, TurboPascal at the time and we decided to move everything to Delphi. Antonio Ribeiro: Me and him, basically, he wrote a 20 year old software into Delphi. Antonio Ribeiro: That was our greatest move at the time, I think. The company had a lot of clients and nobody knew exactly how to build things for Windows, at the time. Everybody was still working on DOS. The company had five or six different big softwares including a healthcare system using Pascal and everything running DOS. We had to move to Windows because DOS was dying at the time. I think it was almost dead. Antonio Ribeiro: That was a really big move. For that move, why we decided to go in this path was because they offered us part of the company. Matt Stauffer: For rewriting all those systems? Antonio Ribeiro: So we had 20% of the company and 13 years ago this move and everything switched and the software was working, they basically cut us off the contact. Matt Stauffer: But you had 20% of the company at that point, right? Antonio Ribeiro: No, not anymore. We lost everything. Antonio Ribeiro: That was 2013. It was exactly when I decided go web. We were not web anymore. Actually, the whole problem was we were talking to them that we needed to go to the web. Move everything to the web as fast as we could because everybody else was already there. Antonio Ribeiro: So, they say to us, "No, we cannot do that now" and just cut us off. End of story. Matt Stauffer: I don't wanna go too deep into money issues but if you own 20%, did they just force you to sell your shares? I don't know how that worked legally. Or was it more of an agreement where that was a little more casual. Antonio Ribeiro: Yeah, that was the problem actually. We had no contract. We had no shares. We had nothing. It was basically friends doing something really big together for 10 years or 13 years. They just stopped giving us money and end of story. Matt Stauffer: I don't mean to at all preach in the face of something difficult that you're going through but my business partner, Dan, and I have found that since the beginning of us starting the company together we said, "you know what, we have each been burned in this similar way at some point in our lives. Where we go into business with friends and just hugely regret it later". Because you're working with friends you don't do the same level of protection that you might've normally done otherwise and so what we decided to do as we started our company was to be very legalistic. Even more than you might be with someone that you don't know so that at no point do we get to a point where our friendship is on the rocks because of those tensions. Because everything's explicitly spelled out. But obviously we had that after having been burned multiple times just like you were on that one. So I know how that feels although I don't think to the level that you experienced so I'm sorry. That's not fun. Matt Stauffer: How did you guys recover from that? That's a hard hit. What did you do next? Antonio Ribeiro: I was lucky because I had two different jobs. The job I still have now, working for government, I had it because it will basically give me money for the rest of my life. Antonio Ribeiro: So I lost 50% of what I was making at the time but that's not really bad. Matt Stauffer: It's not the end of the world. Antonio Ribeiro: I had to move from the apartment I was in. A lot of things happened in my life but I survived. And him too. So it's okay. Matt Stauffer: Okay. I like the attitude. The hosting provider, is that still going on? Because you've mentioned working for the government. You've mentioned working for the translation people. Then you switched jobs to other people. You're mentioned these folks who you had the 20% with but you don't anymore. You mentioned the hosting provider that you created. I'm not always fully following who you work for at any given moment so you're definitely still working for the government because you just told me that. Are you still doing this hosting thing? Antonio Ribeiro: No, not anymore. Matt Stauffer: Oh I'm sorry. Antonio Ribeiro: The money that we were making with the other company was providing a lot of things, including the hosting company that was not very profitable at the time. Antonio Ribeiro: So we closed it. Very fast. Matt Stauffer: When you said hosting company, the first that came to my mind was your were running some servers and you were renting out shared hosting but you've never actually said that. What sort of hosting were you renting and what sort of folks were your clients? Antonio Ribeiro: Exactly that. The hosting company started because we knew a little bit about internet. We saw some hosting companies doing really bad things in the market and we decided to get one client of ours, which was not exactly that company that was our partner, and build a site for them. For that we needed a good webserver so we learn a lot of Linux at the time, Debian Linux, build a server, got a home internet connection, discovered how to make things happen to get a DNS up, Apache mail server ... So we learn everything in three months and we got it up. Matt Stauffer: You said home internet server. You were able to get a fixed IP address though, right? Antonio Ribeiro: Yes. Afterwards, yeah. We started with an IP address. Actually, our tests were all doing at home. Then we got an IP address in an office of a friend in downtown so it was that. After that, we moved our server collocation inside the center and got more servers and the thing got really big. Matt Stauffer: Right. Was it just the two of you remoting into those servers in the collocation center or did you start having other folks working for you as well? Antonio Ribeiro: Not in the webservers company. It was only me and him. Matt Stauffer: Okay. What do you use for hosting now for your side projects? Are you a Linode guy or are you hosting your own stuff? Antonio Ribeiro: Yeah, I host everything in Digital Ocean using Laravel Forge. Antonio Ribeiro: Except for my backups that are on Amazon. Matt Stauffer: I do the same thing. I know my way around a basic Linode server or an Nginx and Apache and stuff like that but I'm not to the point where I could be running my own hosting service. It's interesting to hear someone who has such a depth of experience in hosting still choosing. Saying, "Hey this is the easiest way to do it so why not". Matt Stauffer: So that was 2013. Those things shut down. Since 2013, obviously you've mentioned that the last time the Laravel meet-up was going was in 2016 and you said at that point you had already kind of stepped away a little bit. What have the last four years been like? What have you been working on? Obviously you're still spitting our packages and I'm guessing you're still answering questions on Stack Overflow, although I have not looking at how recent your most recent was. What else are you up to? What are you most interested in? What have you been learning and excited about learning recently? Matt Stauffer: Okay, got it. Antonio Ribeiro: I got into VueJS very early but I did not move my thinks to VueJS. Right now everything I do is Laravel, back end API, VueJS front end. Antonio Ribeiro: The past four years, I was basically learning, doing some jobs and some websites for one or another people or company. Doing some contracting work. Everything is small. Two years ago we started to build things in the government using Laravel so it got really big. I have at least five sites and two mobile apps using Laravel. One of the sites, we have a voting system for young congressmen in Rio de Janeiro. Antonio Ribeiro: Yeah. My company, it has a program for young congressmen so every year we have all the schools in the state, the students, trying to become young congressmen. We have a big voting, I think in July, and then they go to be a congressman for a week. Creating bills and voting bills in and afterwards those bills usually become a real state bill. Antonio Ribeiro: [laughter] Everything is done with our real congressman so it's cool. Matt Stauffer: So, you built that. I assume you're using View Router and Laravel is really just basically spitting out the view initialization and then the API but none of the front end of those applications is actually built by Laravel? Or is it more of a mix? Antonio Ribeiro: Oh, no. The APIs, Laravel, the front end, is usually view. Particularly this one is not 100% view yet because it has one year and a half. But it basically VueJS. Matt Stauffer: Yeah, she's obsessed with Portuguese. When I went home for Thanksgiving a couple of weeks ago, she had been at the bank after coming back from a year living in Brazil and she heard two people speaking Brazilian Portuguese. She walked up, she said "Excuse me, are you from Brazil?" And they look at her like she's a crazy person. They say "Yes, we just moved here and we're setting up our first bank account". She said, "Let's be friends!" And so they and one of her other random Brazilian friends were over at my family's house for Thanksgiving and my son does capoeira so he was like doing the capoeira plays back and forth with one of the guys who does capoeira. I have this very tiny, tiny, tiny side influence that is bringing more than average amount of Brazil into my life but I really know very, very little about the city. I know very little about the country. I know very little about the language. So as a total American idiot who doesn't know anything, let's start with Rio. What aspect of Rio do you feel like, if someone were to visit, they just needed to take in? Obviously, there's a couple specific tourist sites but what aspect of living there and being there do you think is really interest and unique relative to other similar countries that you would really want people to know about? Antonio Ribeiro: Yeah, I think if you are coming to Brazil you have to come blend. The people are the best. We are, I'll not say "cool", but we are good. We are warming. We love to chat, to be with people, to laugh. Knowing the city is something that will happen really fast if you know people here because, of course, you can go to tourist sites. It's easy to get a book and go to tourist sites but to eat food, if you like food, to eat good food. To know amazing restaurants and not very known restaurants. You have to know people. You have to make friends here. And its very easy to make friends in Brazil. Really, really easy. Matt Stauffer: I like that. Talking about food, if there was one food that you would want everyone to try, what would it be? Antonio Ribeiro: My American boss was in Brazil last week. I got them to eat a lamb. There is a very good lamb here in Lapa. I don't know if you know the name. Antonio Ribeiro: It's a very popular part of the city where you can find a lot of bars opening at night. Friday and Saturday you go there and you will probably see like 200 persons. 200,000 persons in that part of the city. It's really very crowded. So the lamb. Matt Stauffer: So, if I were go to and I were to visit, I would need to get lamb. I would make friends with people. Get to know ... And honestly that's one of the most commonly known things about Brazil. It's just wonderful. A lot of the stereotypes also have to do with parties and fun and entertainment and Carnival and all that kind of stuff. Are there any stereotypes or any common misconceptions you think that people have about Brazil and Brazilians that you think aren't true that you want to dispel? Antonio Ribeiro: Probably, people think that Rio in particular is too dangerous to know. Of course, it's dangerous. We are living in dangerous times. But it's not like that. You can come here and you will be safe. It's not like something bad will happen as you as you touch the soil. Matt Stauffer: Walk out the door, right. Antonio Ribeiro: It's safe here. It's a good place to be. Matt Stauffer: Cool, I like that. We're a little short on time but I want to make sure that we touch into the other things that you're really passionate about. We've got dancing and photography cued up. I do want to ask before I go into those two, am I missing anything about you? Is there an aspect of who you are or what you've done, a part of your story or anything, that I've just completely missed that you really want to make sure people get the chance to hear? Antonio Ribeiro: Not at the top of my mind, I don't think so. Matt Stauffer: Okay, so let's talk photography. Antonio Ribeiro: Probably yes, but nothing I can remember. Matt Stauffer: Alright, let's talk photography. What got you into photography? What sort of things do you primarily focus on photographing? How much is it actually a part of your life right now? I know it has been as some point, is it still? Antonio Ribeiro: Yeah, I got into photography because I love to make photos. I'm very technical with everything I do so I like very much to program my camera. Matt Stauffer: Are you a manual-mode kind of guy? Antonio Ribeiro: Yes, yes. I do all the time. I love to take pictures of people. This may be what I do the best. Antonio Ribeiro: I got known in the photography world by taking pictures of shows and nature. Matt Stauffer: Like music shows? Antonio Ribeiro: Music shows, yeah. Because of the dancing, which is the other, I got to the music of the city. To know a lot of musicians, to be with musicians. I have at least two great friends in music here in Rio. I got to photograph them. Today I think their photos in Facebook and Twitter are my photos. Matt Stauffer: When you go straight to your website, you see photography right in there. Is the background of your website, is that a photo you took? Antonio Ribeiro: Yes. Everything, yes. Matt Stauffer: That's gorgeous. It doesn't look real. I assumed, even though I knew you did photography, I assumed you must not have taken them because they're so beautiful. I'm really impressed with this. Antonio Ribeiro: All of them. You're talking about which one? Matt Stauffer: Well, the first ones that came up the last few times I went were a couple of the view of Rio from above. Then, obviously, I'm sure you're aware it keeps cycling through photos. These are incredible photos. Do you consider yourself a professional photographer? Antonio Ribeiro: Yes but I don't make money from photography. I have some professional work, three or four, but I'm not really into it. I'm not photography too much these days. Photography takes a lot of time. You have to really stop and look at the photo. Retouch sometimes. That takes a lot of time too. It's time consuming so I don't have that time now. Matt Stauffer: Yeah. It's mildly offensive that you can say that you don't even have time for photography and you don't do much and then your photos are this good. I'm just going to tell you that right now. Antonio Ribeiro: Yes. I agree. Matt Stauffer: Yeah, this is really beautiful stuff. Folks who are listening, definitely check it out. Of course this will all be in the show notes. Okay so, do you and your wife still dance a lot? Antonio Ribeiro: We dance a little bit. Not as much as we would like to dance and we are not in the dance classes anymore. We were in the beginning of the year. We went back to the dance classes but our lives are getting too crazy to be there, to go to class every week at such time. It's hard. It's hard for us. Matt Stauffer: Yeah, absolutely. Especially when you have a family. There's just a lot of obligations that come from family and come from work and everything like that. I'm finding that I haven't picked up a lot of my hobbies. Somebody asked in the Laravel advent "What are your hobbies" and I laughed and I said, "Keeping my kids alive". There's just times when, if everybody's alive and fed at the end of the time and the house hasn't burned down, I'm considering it a win. Cool. Well, we're coming up on time. I know I said is there any high-level aspects of your story that we haven't covered but are there any projects or any frameworks or any packages or any conferences or meet ups that you'd like to plug, you want to talk about, or you want to make sure people know about? Antonio Ribeiro: No, I don't think so. I'm basically trying to get into my packages a little bit more. I'm trying to rewrite Tracker from scratch. Antonio Ribeiro: Yeah, because it's getting old. Codes is really ugly to look at right now. I think I have changed as a coder in the past years. Matt Stauffer: It's a couple years old, right? Antonio Ribeiro: Yeah, yeah. It's like two or three years old. I think it was the first big package that I wrote and people really like it. I think I have to give some love to the package again. Matt Stauffer: Yeah, yeah. It's this thing where we look at our old code and we can't imagine how we ever wrote like that but it's still our baby. I like it. It's hard every time. It's hard to cut off talking when I have so many more questions but I feel like we've covered a really good chunk. We made it from at least age 14 until today, even if we probably missed a lot of interesting digressions we could have taken. Thank you so much for your time. It was a ton of fun talking to you. I love getting to learn about you. Thank you for the contribution you make, especially because often you're making those contributions ... Again, I don't want to say nobody knows who you are or anything like that but you're consistently helping. Getting a good Stack Overflow score means that you have helped a huge number of people. You've helped me many, many, many times. So, for the tireless work that you do helping people in our community- thank you very, very, very much. Antonio Ribeiro: Thanks for having me and thanks for inviting me do this interview. And thanks for your blogging too because your blog posts are helping me all the time as well. Matt Stauffer: I love it. Well, I promise that I'm gonna do my best to actually writing them again. I'm in the same pit as you where anything other than the day job and keeping my family alive have really dropped. But my hope for 2018, let's get back into doing these side things and working on our packages and our blogs.